Elite colleges or private clubs? President Obama, who has recently sounded a clarion call to attack economic inequality, could give colleges a choice: If they don’t enroll a fair share of students from low-income families and want to continue to offer admissions preferences to legacies and the wealthy and powerful, they risk being reclassified as private clubs. ELISE AMENDOLA/AP All in the family? Kudos to former Mayor Michael Bloomberg for a campaign he announced last week: His charitable foundation and others will fund more college counselors and outreach services to get thousands more talented, low-income students to attend, and graduate from, high-quality colleges. That’s urgently needed to live up to the American ideal of equal educational opportunity. Despite the fact one in five students with a top score on the ACT exam comes from a working-class or low-income family, you are 25 times more likely to bump into a rich kid than a poor one on the campuses of America’s 173 most selective undergraduate institutions. But outreach and financial aid are of limited use if top-flight colleges systematically pass over talented, low-income students. The dirty little secret about higher education is that, despite well-marketed outreach and generous financial aid programs, many wealthy colleges embrace policies that undermine low-income students’ chances of ever being admitted, much less enrolled. Until we confront those bad habits, we’ll only attack the problem around the edges. Perhaps the most nefarious ways elite colleges reproduce inequality is to favor big donors, known as “development admits,” and children of alumni, via the so-called “legacy preference.” The federal government unwisely supports these inequitable practices — by providing tax-exempt status to colleges that discriminate against first-generation applicants (i.e. non-legacies). That’s a very large subsidy for perpetuating inequity. At elite colleges across America, typically one in six students enrolled received a legacy preference. At Notre Dame, there are more legacies than black and Latino students combined. Based on an analysis of admission data from 30 top colleges, researcher Michael Hurwitz concluded that children of alumni had a 45% greater chance of admission. Yet the latest studies reveal legacies are less academically qualified than other admitted students. Researchers at Princeton quantified the advantage as equal to 160 additional points on an applicant’s SAT. After controlling for all student characteristics, legacies are 20% more likely to be admitted to Harvard, for example, than non-legacies. Double legacies (with two parents who attended) get a 40% boost. Is it any wonder three in 10 legacy applicants are admitted to Harvard — more than 400% higher the rate of other applicants? The college admissions process is creating an aristocracy. Elite colleges counter that legacy preference is essential to fund-raising. But many of these colleges don’t need a fund-raising boost. Notre Dame’s endowment exceeds $8 billion. Harvard’s is over $30 billion. Besides, from a fund-raising standpoint, it would be fairer and more efficient to auction off college acceptance letters on eBay than to retain the legacy preference. To make top-flight higher education a genuine engine of socioeconomic opportunity rather than something that calcifies inequality, we shouldn’t just increase outreach and financial aid programs. We should discourage colleges from practices that don’t reward achievement, promote diversity or meet academic goals. A college that favors donors and alumni in admissions doesn’t have to be classified as a charity. It could be classified as a private club. And donations to private clubs are not tax deductible. Meaning, if they want to offer a charity tax deduction to donors, they must swear off legacy preference and development admissions — or jack up enrollment of talented students from low-income families. It’s up to them. In 2007, Sen. Charles Grassley (R-Ia. ), then the Senate finance committee chairman, threatened the charity status of wealthy colleges that weren’t affordable to working-class students. The colleges howled at first, but many soon embraced improved financial aid policies. Obama could do the same, and more, by reminding colleges that he could use his pen, directing the Department of Treasury to act, as well as the bully pulpit. The politically-active left would cheer an attack on legacy preferences, while those on the right enjoy anything that pokes a finger in the eye of elite colleges. But more important by far, thousands more deserving, upwardly mobile young people would get a fairer chance at an exemplary education. Shireman and Dannenberg are former Obama administration officials. Shireman is the executive director of California Competes and Dannenberg is the director of strategic initiatives for Policy at Education Reform Now. Becoming a multimillionaire teacher is pretty extreme. Excessive rote learning under the auspices of a technical-function model of higher education is also extreme (or severe), leading to high stress, depression, and suicides. There's something really sad and pathetic about South Korea’s equivalent of the SAT being "the most important event in a young person’s life." Rather than as an exclusive end in itself., doing well on the SAT should be a byproduct of an educational experience that is transformative and meaningful to youth. It IS dangerous for corporate values to seep into public education. In light of my previous two posts, one cannot help but wonder whether creativity is actually getting compromised, or if undercutting critique and promoting insecurity is actually the intent of current policy frameworks that seeks a docile citizenry and that propagates "cultural wars" as weapons of mass distraction that stoke the conservativism of those that regard higher levels of learning as a threat to the current system of free enterprise or simply, "capitalism." SEOUL — Clasping his headphones and closing his eyes as he sang into the studio microphone while performing a peppy duet with one of South Korea’s hottest actresses, spiky-haired Cha Kil-yong looked every bit the K-pop star. But Cha is not a singer or actor. No, he’s a unique kind of South Korean celebrity: a teaching star. In this education-obsessed country, Cha is a top-ranked math teacher. But he doesn’t teach in a school. He runs an online “hagwon” — or cram school — called SevenEdu that focuses entirely on preparing students to take the college entrance exam in mathematics. Here, teaching pays: Cha said he earned a cool $8 million last year. It’s hard to exaggerate the premium South Korea places on education. This is a society in which you have to get into the right kindergarten, so that you can get into the right elementary school, then into the right middle school and high school, and finally into the right college. Which, of course, gets you the right job and scores you the right spouse. There’s even a phrase to describe the Korean version of a helicopter mother: “chima baram” — literally “skirt wind,” to describe the swish as a mother rushes into the classroom to demand a front-row seat for her child or to question grades. Many Korean families split and live on opposite sides of the world in pursuit of a better education: The mother and children live in the United States or some other English-speaking country, the better to secure entry to a prestigious university (preferably Harvard). The “goose father” continues working in South Korea, flying in to visit when he can. All of this combines to make South Korea’s equivalent of the SAT the most important event in a young person’s life. As such, the vast majority of teenagers here do a double shift at school: They attend normal classes by day but go to hagwons for after-hours study. Increasingly, online hagwons are replacing traditional brick-and-mortar cram schools. The hagwons have become a $20 billion industry. This devotion to studying is credited with helping South Korea consistently rank at the top of the developed world in reading, math and science, although the latest rankings from the Organization for Economic Cooperation and Development also show that Korean students come last when asked whether they are happy at school. South Korea also has the highest suicide rate in the developed world, which many suggest is related to a high-stress focus on education. Some politicians and educators are questioning whether things have gotten out of hand. But even parents opposed to this punishing system find it difficult to opt out — their children complain that they can’t keep up if they don’t go to a hagwon. That’s good news for instructors like Cha, who started teaching at a hagwon to pay his way through his PhD program. About 300,000 students take his online class at any given time, paying $39 for a 20-hour course (traditional cram schools charge as much as $600 for a course). He teaches them tricks for taking the timed exams, including shortcuts that students can take to solve a problem faster. His studio is set up with a green chalkboard and desks, and behind the camera are piles of props — including hippo and Batman masks and a gold sequined jacket. “You’re not only teaching a subject, you also have to be a multitalented entertainer,” said Cha, declining to give his age and offering only that he’d been working for 20 years. On SAT day, he visits schools to offer encouragement to test takers. He also does television ads, endorsing products such as a red ginseng drink meant to boost brain power. Kwon Kyu-ho, a top-ranked literature teacher, also appears with K-pop stars and has a lucrative side business in celebrity endorsements, lending his name to a chair meant to help people study better. Maintaining his position doesn’t require just good lessons. Kwon, 33, also gets regular facials and works out, and he said some teachers even have stylists.. He wouldn’t disclose how much he earned, only that it was “several millions” of dollars a year. The secret of his success, Kwon said, was finding the parts of tests that make most students stumble. He focuses lessons on those problem areas. This style of education has its upsides, he said. As President Park Geun-hye promotes a “creative economy” as the key to taking South Korea to the next level in its development, many analysts say the country would do well to take a more creative approach to education. Lee Ju-ho, who was minister of education until last year, is among them. Lee said all the problems stem from the college admissions procedures, which have been slow in looking beyond test scores to other criteria such as extracurricular activities and personal essays, as is common in many Western countries. “We really need to change,” said Lee, who is now a professor at the Korea Development Institute’s School of Public Policy and Management. I am just seeing this piece on higher education accountability in light of the previous piece I just posted that is a must read. A hot link appears to this current page that I think is very important to policy development and practice as regards higher education accountability policies, nationally. Step V: Destroy the students.While claiming to offer them hope of a better life, our corporatized universities are ruining the lives of our students. This is accomplished through a two-prong tactic: you dumb-down and destroy the quality of the education so that no one on campus is really learning to think, to question, to reason. Instead, they are learning to obey, to withstand “tests” and “exams,” to follow rules, to endure absurdity and abuse. Our students have been denied full-time available faculty, the ability to develop mentors and advisors, faculty-designed syllabi which changes each semester, a wide variety of courses and options. Instead, more and more universities have core curriculum which dictates a large portion of the course of study, in which the majority of classes are administrative-designed “common syllabi” courses, taught by an army of underpaid, part-time faculty in a model that more closely resembles a factory or the industrial kitchen of a fast-food restaurant than an institution of higher learning. This book was also cited there and strikes me as a must-read: Unmaking the Public University: The fourty year assault on the middle class. Forewarned is to be forearmed. Washington, DC—June 23, 2014—The Association of American Colleges and Universities (AAC&U) and the State Higher Education Executive Officers Association (SHEEO) announced today the 68 institutions—including both 2-year and 4-year institutions—participating in the Multi-State Collaborative to Advance Learning Outcomes Assessment (MSC) supported in its initial planning year with funds from the Bill & Melinda Gates Foundation. The nine states currently participating in the MSC include: Connecticut, Indiana, Kentucky, Massachusetts, Minnesota, Missouri, Oregon, Rhode Island, and Utah. See: www.sheeo.org/msc for full list of participating institutions. Part of AAC&U’s ongoing VALUE (Valid Assessment of Learning in Undergraduate Education) initiative, the 68 institutions in the MSC will pilot test a cross-state and cross-institutional effort to document how well students are achieving key learning outcomes like quantitative reasoning, written communication, and critical thinking by assessing authentic student work products using a set of common rubrics. Faculty members across the 68 institutions will be sampling and assessing students’ work and establishing the reliability and validity of cross-institutional assessment using this new approach. During its initial year, the project will be building faculty assessment capacity and collecting student work products. The project will also be developing a Web-based data platform for uploading student work samples and assessment data. In its earlier phases of work, VALUE published 16 rubrics developed and tested by teams of faculty and other educational professionals that are aligned with the LEAP Essential Learning Outcomes and also with the intellectual skills highlighted in the Degree Qualifications Profile. Over 2,000 colleges and universities and community colleges in the U.S. already are using VALUE rubrics to assess student work. Leadership in organizing the MSC came through the Massachusetts Board of Higher Education, which, as part of its Vision Project, piloted use of AAC&U’s VALUE rubrics to assess student learning in Massachusetts. Working with AAC&U and SHEEO, leaders in Massachusetts subsequently helped organize a nine-state collaboration that is developing platforms and protocols for scaling the use of this approach to quality assurance. An essential American dream—equal access to higher education—was becoming a reality with the GI Bill and civil rights movements after World War II. But this vital American promise has been broken. Christopher Newfield argues that the financial and political crises of public universities are not the result of economic downturns or of ultimately valuable restructuring, but of a conservative campaign to end public education’s democratizing influence on American society. Unmaking the Public University is the story of how conservatives have maligned and restructured public universities, deceiving the public to serve their own ends. It is a deep and revealing analysis that is long overdue. Another one by Benjamin Ginsburg, The Fall of the Faculty, is also cited herein. In the last few years, conversations have been growing like gathering storm clouds about the ways in which our universities are failing. There is talk about the poor educational outcomes apparent in our graduates, the out-of-control tuitions and crippling student loan debt. Attention is finally being paid to the enormous salaries for presidents and sports coaches, and the migrant worker status of the low-wage majority faculty. There are movements to control tuition, to forgive student debt, to create more powerful “assessment” tools, to offer “free” university materials online, to combat adjunct faculty exploitation. But each of these movements focuses on a narrow aspect of a much wider problem, and no amount of “fix” for these aspects individually will address the real reason that universities in America are dying. To explain my perspective here, I need to go back in time. Let’s go back to post-World War II, 1950s when the GI bill, and the affordability – and sometimes free access – to universities created an upsurge of college students across the country. This surge continued through the ’60s, when universities were the very heart of intense public discourse, passionate learning, and vocal citizen involvement in the issues of the times. It was during this time, too, when colleges had a thriving professoriate, and when students were given access to a variety of subject areas, and the possibility of broad learning. The liberal arts stood at the center of a college education, and students were exposed to philosophy, anthropology, literature, history, sociology, world religions, foreign languages and cultures. Of course, something else happened, beginning in the late '50s into the '60s — the uprisings and growing numbers of citizens taking part in popular dissent — against the Vietnam War, against racism, against destruction of the environment in a growing corporatized culture, against misogyny, against homophobia. Where did much of that revolt incubate? Where did large numbers of well-educated, intellectual, and vocal people congregate? On college campuses. Who didn’t like the outcome of the '60s? The corporations, the war-mongers, those in our society who would keep us divided based on our race, our gender, our sexual orientation. I suspect that, given the opportunity, those groups would have liked nothing more than to shut down the universities. Destroy them outright. But a country claiming to have democratic values can’t just shut down its universities. That would reveal something about that country which would not support the image they are determined to portray – that of a country of freedom, justice, opportunity for all. So, how do you kill the universities of the country without showing your hand? As a child growing up during the Cold War, I was taught that the communist countries in the first half of the 20th century put their scholars, intellectuals and artists into prison camps, called “re-education camps.” What I’ve come to realize as an adult is that American corporatism despises those same individuals as much as we were told communism did. But instead of doing anything so obvious as throwing them into prison, here those same people are thrown into dire poverty. The outcome is the same. Desperate poverty controls and ultimately breaks people as effectively as prison…..and some research says that it works even more powerfully. Anna Victoria, writing in Pluck Magazine , discusses this issue in a review of Christopher Newfield’s book, Unmaking the Public University : “In 1971, Lewis Powell (before assuming his post as a Supreme Court Justice) authored a memo, now known as the Powell Memorandum,  and sent it to the U.S. Chamber of Commerce. The title of the memo was “Attack on the American Free Enterprise System,” and in it he called on corporate America to take an increased role in shaping politics, law, and education in the United States.” How would they do that? One, by increased lobbying and pressure on legislators to change their priorities. “Funding for public universities comes from, as the term suggests, the state and federal government. Yet starting in the early 1980s, shifting state priorities forced public universities to increasingly rely on other sources of revenue. For example, in the University of Washington school system, state funding for schools decreased as a percentage of total public education budgets from 82% in 1989 to 51% in 2011.” That’s a loss of more than a third of its public funding. But why this shift in priorities? U.C. Berkeley English professor Christopher Newfield, in his new book Unmaking the Public University posits that conservative elites have worked to defund higher education explicitly because of its function in creating a more empowered, democratic, and multiracial middle class. His theory is one that blames explicit cultural concern, not financial woes, for the current decreases in funding. He cites the fact that California public universities were forced to reject 300,000 applicants because of lack of funding. Newfield explains that much of the motive behind conservative advocacy for defunding of public education is racial, pro-corporate and anti-protest in nature. Under the guise of many “conflicts,” such as budget struggles, or quotas, defunding was consistently the result. This funding argument also was used to reshape the kind of course offerings and curriculum focus found on campuses. Victoria writes, “Attacks on humanities curriculums, political correctness, and affirmative action shifted the conversation on public universities to the right, creating a climate of skepticism around state funded schools. State budget debates became platforms for conservatives to argue why certain disciplines such as sociology, history, anthropology, minority studies, language, and gender studies should be defunded…” on one hand, through the argument that they were not offering students the “practical” skills needed for the job market — which was a powerful way to increase emphasis on what now is seen as vocational focus rather than actual higher education, and to devalue those very courses that trained and expanded the mind, developed a more complete human being, a more actively intelligent person and involved citizen. Vice-President Joe Biden, a few months back, said that the reason tuitions are out of control is because of the high price of college faculty. He has no idea what he is talking about. At latest count, we have 1.5 million university professors in this country, 1 million of whom are adjuncts. One million professors in America are hired on short-term contracts, most often for one semester at a time, with no job security whatsoever – which means that they have no idea how much work they will have in any given semester, and that they are often completely unemployed over summer months when work is nearly impossible to find (and many of the unemployed adjuncts do not qualify for unemployment payments). So, one million American university professors are earning, on average, $20K a year gross, with no benefits or healthcare, no unemployment insurance when they are out of work. Keep in mind, too, that many of the more recent Ph.Ds have entered this field often with the burden of six figure student loan debt on their backs. There was recently an article  talking about the long-term mental and physical destruction caused when people are faced with poverty and “job insecurity” — precarious employment, or “under-employment.” The article says that, in just the few short years since our 2008 economic collapse, the medical problems of this group have increased exponentially. This has been the horrible state of insecurity that America’s college professors have experienced now for 30 years. It can destroy you — breaking down your physical and emotional health. As an example: the average yearly starting salary of a university professor at Temple University in 1975 was just under $10,000 a year, with full benefits – health, retirement, and educational benefits (their families could attend college for free). And guess what? Average pay for Temple’s faculty is stillabout the same — because adjuncts now make up the majority of faculty, and earn between $8,000 to $14,000 a year (depending on how many courses they are assigned each semester – there is NO guarantee of continued employment) — but unlike the full-time professors of 1975, these adjunct jobs come with NO benefits, no health care, no retirement, no educational benefits, no offices. How many other professions report salaries that have remained at 1975 levels? This is how you break the evil, wicked, leftist academic class in America — you turn them into low-wage members of the precariat – that growing number of American workers whose employment is consistently precarious. All around the country, our undergraduates are being taught by faculty living at or near the poverty line, who have little to no say in the way classes are being taught, the number of students in a class, or how curriculum is being designed. They often have no offices in which to meet their students, no professional staff support, no professional development support. One million of our college professors are struggling to continue offering the best they can in the face of this wasteland of deteriorated professional support, while living the very worst kind of economic insecurity. Unlike those communist countries, which sometimes executed their intellectuals, here we are being killed off by lack of healthcare, by stress-related illness like heart-attacks or strokes. While we’re at it, let’s add suicide to that list of killers. You see the state of healthcare in this country, and how disastrous it is. Well, during this same time, there was a similar kind of development, something akin to the HMO — let’s call it an “EMO,” Educational Management Organization, began to take hold in American academia. From the 1970s until today, as the number of full-time faculty jobs continued to shrink, the number of full-time administrative jobs began to explode. As faculty was deprofessionalized and casualized, reduced to teaching as migrant contract workers, administrative jobs now offered good, solid salaries, benefits, offices, prestige and power. In 2012, administrators now outnumber faculty on every campus across the country. And just as disastrous as the HMO was to the practice of medicine in America, so is the EMO model disastrous to the practice of academia in America, and to the quality of our students’ education. Benjamin Ginsburg writes about this in great detail in his book The Fall of the Faculty . I’d like to mention here, too, that universities often defend their use of adjuncts – which are now 75% of all professors in the country — claiming that they have no choice but to hire adjuncts, as a “cost saving measure” in an increasingly defunded university. What they don’t say, and without demand of transparency will never say, is that they have not saved money by hiring adjuncts — they have reduced faculty salaries, security and power. The money wasn’t saved, because it was simply re-allocated to administrative salaries, coach salaries and outrageous university president salaries. There has been a redistribution of funds away from those who actually teach, the scholars – and therefore away from the students’ education itself — and into these administrative and executive salaries, sports costs — and the expanded use of “consultants,” PR and marketing firms, law firms. We have to add here, too, that president salaries went from being, in the 1970s, around $25K to 30K, to being in the hundreds of thousands to MILLIONS of dollars – salary, delayed compensation, discretionary funds, free homes, or generous housing allowances, cars and drivers, memberships to expensive country clubs. To further control and dominate how the university is "used” -- a flood of corporate money results in changing the value and mission of the university from a place where an educated citizenry is seen as a social good, where intellect and reasoning is developed and heightened for the value of the individual and for society, to a place of vocational training, focused on profit. Corporate culture hijacked the narrative – university was no longer attended for the development of your mind. It was where you went so you could get a “good job.” Anything not immediately and directly related to job preparation or hiring was denigrated and seen as worthless — philosophy, literature, art, history. So what is the problem with corporate money, you might ask? A lot. When corporate money floods the universities, corporate values replace academic values. As we said before, humanities get defunded and the business school gets tons of money. Serious issues of ethics begin to develop when corporate money begins to make donations and form partnerships with science departments – where that money buys influence regarding not only the kinds of research being done but the outcomes of that research. Corporations donate to departments, and get the use of university researchers in the bargain — and the ability to deduct the money as donation while using the labor, controlling and owning the research. Suddenly, the university laboratory is not a place of objective research anymore. As one example, corporations that don’t like climate change warnings will donate money and control research at universities, which then publish refutations of global warming proofs. Or, university labs will be corporate-controlled in cases of FDA-approval research. This is especially dangerous when pharmaceutical companies take control of university labs to test efficacy or safety and then push approval through the governmental agencies. Another example is in economics departments — and movies like The Inside Job  have done a great job of showing how Wall Street has bought off high-profile economists from Harvard, or Yale, or Stanford, or MIT, to talk about the state of the stock market and the country’s financial stability. Papers were being presented and published that were blatantly false, by well-respected economists who were on the payroll of Goldman Sachs or Merrill Lynch. A corporate model, where profit depends on 1) maintaining a low-wage work force; and 2) charging continually higher prices for their “services” is what now controls our colleges. Faculty is being squeezed from one end and our students are being squeezed from the other. While claiming to offer them hope of a better life, our corporatized universities are ruining the lives of our students. This is accomplished through a two-prong tactic: you dumb-down and destroy the quality of the education so that no one on campus is really learning to think, to question, to reason. Instead, they are learning to obey, to withstand “tests” and “exams,” to follow rules, to endure absurdity and abuse. Our students have been denied full-time available faculty, the ability to develop mentors and advisors, faculty-designed syllabi which changes each semester, a wide variety of courses and options. Instead, more and more universities have core curriculum which dictates a large portion of the course of study, in which the majority of classes are administrative-designed “common syllabi” courses, taught by an army of underpaid, part-time faculty in a model that more closely resembles a factory or the industrial kitchen of a fast-food restaurant than an institution of higher learning. The Second Prong: You make college so insanely unaffordable that only the wealthiest students from the wealthiest of families can afford to go to the school debt-free. Younger people may not know that for much of the 20th century many universities in the U.S. were free, including the CA state system: you could establish residency in six months and go to Berkeley for free, or at very low cost. When I was an undergraduate student in the mid- to late-1970s, tuition at Temple University was around $700 a year. Today, tuition is nearly $15,000 a year. Tuitions have increased, using California as an example again, over 2000% since the '70s. This is the most directly dangerous situation for our students: pulling them into crippling debt that will follow them to the grave. Another dangerous aspect of what is happening can be found in the shady partnership that has formed between the lending institutions and the financial aid departments of universities. This is an unholy alliance. I have had students in my classes who work for financial aid. They tell me that they are trained not to say “This is what you need to borrow,” but instead, “This is what you can get,” and to always entice the student with the highest possible number. There have been plenty of kick-back scandals between colleges and lenders — and I’m sure there is plenty undiscovered shady business going on. So, tuition costs are out of control because of administrative, executive and coach salaries, and the loan numbers keep growing, risking a life of indebtedness for most of our students. Further, there is absolutely no incentive on the part of this corporatized university to care. The propaganda machine here has been powerful. Students, through the belief of their parents, their K-12 teachers, their high school counselors, are convinced by constant repetition that they HAVE to go to college to have a promising, middle-class life, they are convinced that this tuition debt is “worth it” — and learn too late that it will indenture them. Let’s be clear: this is not the fault of the parents, or K-12 teachers or counselors. This is an intentional message that has been repeated year in and year out that aims to convince us all about the essential quality of a college education. But these are victors who will never declare victory — because the carefully maintained capitalist illusion of the “university education” still benefits them. Never, ever, admit that the university is dead. Quite the opposite. Instead, continue to insist that the university is the only way to gain a successful, middle-class life. Say that the university is mandatory for happiness in adulthood. All the while, maintain this low-wage precariate class of edu-migrants, continually mis-educate and indebt the students to ensure their docility, pimp the institution out to corporate interests. It’s a win-win for those right-wingers – they’ve crippled those in the country who would push back against them, and have so carefully and cleverly hijacked the educational institutions that they can now be turned into part of the neoliberal/neocon machinery, further benefitting the right-wing agenda. This ruination has taken about a generation. Will we be able to undo this damage? Can we force refunding of our public educational system? Can we professionalize faculty, drive out the administrative glut and corporate hijackers? Can we provide free or low-cost tuition and high-quality education to our students in a way that does not focus only on job training, but on high-level personal and intellectual development? I believe we can. But only if we understand this as a big-picture issue, and refuse to allow those in government, or those corporate-owned media mouthpieces to divide and conquer us further. This ruinous rampage is part of the much larger attack on progressive values, on the institutions of social good. The battle isn’t only to reclaim the professoriate, to wipe out student debt, to raise educational outcomes — although each of those goals deserve to be fought for. But we will win a Pyrrhic victory at best unless we understand the nature of the larger war, and fight back in a much, much bigger way to reclaim the country’s values for the betterment of our citizens. We have a big job ahead of us, and are facing a very powerful foe in a kind of David and Goliath battle. I’m open to hearing ideas about how to build a much, much better slingshot. Madrid, E. M. (2011). The Latino achievement gap. Multicultural Education, 19(3), 7-12. This article is downloadable here. programs that serve Latino students." Good historical retrospective on educational reform and how bad we are as a country about not remembering those things in our educational histories that have actually worked well and not-so-well. Instead of learning from this experience, education seems to always get "re-made" as a response to shifting political winds. All I would add to this analysis is that even at its worst, there has always been a class of children that has systematically reaped the rewards of this system, as well. As nonsensical as they may appear to us now, this is what has helped sustain these reform efforts across time. In policy, we've always said, "Once the middle class is unduly impacted (which is what happens in policy once there's over-reach), that's when things are going to begin to change. At least in Texas, we appear to be in that moment now. The only significant concern is whether educational reforms—like fair and equitable school funding, an informational (rather than punishing) accountability system, project-based, authentic assessment and the like—can outpace the privatization policy making agenda in our state this next legislative session that begins in January in time for public education to save its soul—whatever is left of it—that is, after so many years of shaming and blaming our schools and teachers under this neoliberal model of Texas-style accountability. On a positive note, since Texas is ground zero for high-stakes accountability, any positive changes we make here in this regard bode well for the rest of the country. After all, the system we have in place is a bipartisan bad idea. Rather than bailing out of this system and not be accountable at all (which is what some districts would be perfectly fine with), we need to craft thoughtful alternatives with respect to both assessment and accountability—which are overlapping, yet conceptually distinct aspects of the whole. And yes, this does mean reaching backwards into our educational roots—not only as schools and districts, but also as parents and communities exercising greater voice and control in public education. As a civil rights community, we need to reacquaint ourselves with our enduring legal and legislative struggles for quality, inclusion, and equity in education. We need to embrace and give fresh meaning to the Deweyan ideal of classrooms as laboratories for democracy. Gore Vidal once referred to the U.S.A. as "The United States of Amnesia." In no area of human endeavor is forgetfulness more the norm than it is in education. It's a notion I have not taken to gracefully. My current mantra is, "Been there, seen it, done it;" followed by the old saw that insanity is doing the same thing but expecting different results. A function of old age, congenital contrariness, and just plain weariness, it's what comes of former educational reformers. They don't go quietly into the dark night but go down yelling loudly right to the very end. Bitterly complaining about the quality of American education is part of our history. When I first became a teacher in the 1950s, it was James Conant, former President of Harvard, and Admiral Rickover, father of the atomic submarine. In 1957, came the political outcry in reaction to fears of Russian global ascendancy with the launching of Sputnik -- attributing America's failure to be number one in space to lack of rigor in our schools. Over a half century later, President Obama revived that specter, recalling how Sputnik provoked the United States to increase investment in math and science education and helped America win the space race. He warned that with billions of people in India and China having been "suddenly plugged into the world economy," only those nations with the most educated workers would prevail," and how, "America is in danger of falling behind." Here we go again -- more fire-bells ringing in the mid of night. Back to the 1960s and the Great Society -- a time when federal efforts in education ramped up significantly in the form of assistance to schools and colleges seeking to eliminate racial segregation, developing new strategies for educating disadvantaged children and in broadening access to higher education for previously neglected youths. Many programs failed; a few succeeded. Lessons from these efforts provide instructive experiences that can guide future efforts in educational reform. But for the most part they have been ignored. The late '60s and '70s featured a blossoming of educational reform and a progressive vision. Programs of compensatory education were joined with the free school and alternative education movements. Most of these efforts, however, were not taken seriously and were prematurely aborted -- succeeded by a wave of counter-reaction. They have also been banished from recent memory. The 1980s were driven by A Nation at Risk, a report chronicling the latest "crisis," citing abysmally low basic skill scores, low basic comprehension rates, and high drop-out rates, recommending more rigorous standards, the standardization of curricula, and a program of National testing... Sound familiar? In keeping with its recommendations, by the mid-1980s, 45 states had gotten with the program, expanding their testing programs, instituting more strenuous graduation requirements, cutting frills, and returning to basics (as if they had ever left them in the first place). In the end, however, it all proved so much sound and fury... signifying nothing. Research revealed that this highly orchestrated and costly effort had not the slightest effect on student learning and comprehension. Even when legislated merit pay systems were added to the mix, little of this trickled down to the classroom. None of it ever enhanced the students' ability to learn. Shouldn't this historical backdrop have been at least noted amid the current hue and cry for more rigorous standards and high-stake testing procedures? If not, the current effort must be judged to be more about public relations and politics than serious educational thought, in which case, damn the torpedoes (and the history) and full speed ahead! Many eons ago, I taught plane geometry. I took special pleasure in its leitmotif which was both simple and elegant. The subject matter started with a few simple axioms which students could then use to prove a series of theorems. The neat thing about the process was that after you had proven a particular theorem, there was no need to reprove it. You could simply cite it in proving subsequent theorems with which you were confronted. And so the subject matter built, brick by brick, theorem by theorem -- a glorious superstructure of thought unfolding before your very eyes. There is no such historical consciousness in American education. We go through a variety of experiences, bad and good, yet learn nothing from them. We invent terrific programs but go on to forget we had ever done so. Can you detect a trace of not only bitterness but also sadness in my voice, as one who led such efforts? There is no reason that any profession should ignore its past and spend its current energy reinventing everything it knows. Imagine if medical research, seeking to create new and effective vaccines, ignored past failures and successes to do so. That would be totally unacceptable. Yet in education such insanity is an ingrained and acceptable pattern. Meanwhile, articles appear regularly in our press, celebrating new approaches, often billed as "revolutionary." In reality, however, they are only shadow replicas of what has been done before. They are characterized by a remarkable failure of attribution; and by promoting their novelty and exaggerating their potential impact, lull readers into a false sense of complacency and a congratulatory attitude that we are at last on the right track, perpetuating the myth that society really cares about such matters while fostering the illusion that the culture is truly thinking outside the box. Does anyone out there remember Title III? Title I, yes: additional funding for schools serving poor kids; Title IX, yes: gender equity in schools, and its impact on women's athletics. But Title III? "Doh!" Decades before charter schools became our anointed savior, groups of eager parents and inspired teachers nationwide, started their own schools, serving public school students using public funds, both federal and local. How soon they forget. There has never been a dearth of good ideas, good people, and good programs. There has only been a failure of will -- to act on what is already known. "Been there, seen it, done it." What were those lessons? Stay tuned. Is anyone there? Larry Paros is a former high school math and social studies teacher. 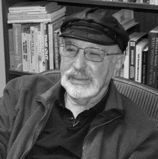 He was at the forefront of educational reform in the 1960s and 70s, during which time he directed a unique project for talented underprivileged students at Yale and created and directed two urban experimental schools, cited by the U.S. Office of Education as "exemplary" which were later replicated at more than 125 sites nationwide. Classroom Version of "Walk Right In"
So far, 19 states have made significant efforts to push back against Common Core. Indiana, Oklahoma, South Carolina and Louisiana have exited the standards, and others appear poised to do likewise. It’s one thing to experience “buyer’s remorse” when the product is something you can return easily, from new clothes to a set of high-end speakers. It’s another when you’re talking about your state’s educational standards. Yet more and more states are finding that there’s simply no living with Common Core. Parents, teachers, students and lawmakers have become increasingly vocal in their criticism of the federally backed standards — and more and more of them are taking action. That is the crux of the criticism against Common Core — that the federal government got recession-strapped states to sign on by offering more than $4 billion in grants and waivers under the Race to the Top program. Many lawmakers were eager to sign on — at first. Now they are worried about losing those waivers if they drop Common Core. Who can blame them? The more teachers and parents see of Common Core, the less they like it. The main problem is that Common Core exemplifies a top-down, one-size-fits-all approach that is toxic in the world of education. No matter how well-meaning some bureaucrats in Washington may be, they can’t prescribe standards that will work perfectly in every school of every district of every state. What works in Peoria, Illinois, may not work in Portland, Oregon. That, in fact, is the solution. What’s needed here is parent-directed education. We need school choice, which allows families to select the academic setting that’s right for them. That might be the local public school, a nearby private school or home school. Such an approach is understandably appealing to frustrated families, many of whom have embraced school choice programs. The number taking advantage of options such as vouchers, tuition tax credit programs and education savings accounts has gone from fewer than 50,000 in 2000 to more than 300,000 today. We don’t need questionable universal standards handed down to us from Mount Olympus. Choice in education should be our standard. Common Core restricts choice and simply doesn’t make the grade. We have ushered in representatives that go against some of the core values of the Latino community and who continue to pass reforms that oftentimes do not take our community into account. All the more reason to continue to get out the vote—and to educate it, as well. Growing up in West Texas, my mother taught me that if you worked hard enough, anything was possible. We believed in the American Dream - the idea that success was in reach, you just had to earn it. We felt confident that there was a better tomorrow for the next generation. Yet, just recently The New York Times reported that only 64 percent of Americans would say that they still believed in the American Dream. This number, the paper reports, is the "lowest result in roughly two decades." One man interviewed noted that, "the decks have been stacked against not only the lower class but also the lower middle class." These statistics are not surprising in the face of the large economic and social divides found within our country. As the lead up to November's midterm elections proved, our country has increasingly become politically polarized. We have ushered in representatives that go against some of the core values of the Latino community and who continue to pass reforms that oftentimes do not take our community into account. I can understand why the American Dream no longer seems to be in reach for the many Americans, including those in the Latino community, who feel as if those in Washington only listen to a select few. President Obama has taken decisive action on immigration reform to keep families together and to allow millions to come out of the shadows. But we still have politically charged lawsuits such as the State of Texas v. United States of America,which aims to take this progress away by making false claims that the President's executive actions and Department of Homeland Security's directive on deferred action suspends the enforcement of our country's immigration laws. We need lawmakers that think through solutions to problems, not just figure out ways to repeal solutions. The same goes for education. The recently passed $1.1 trillion spending bill includes cutting $303 million for Pell Grants, a program that helps to provide financial aid for an estimated 51 percent of Latino undergraduates. We should be creating more opportunities for education - a key issue for Latino voters - not taking them away. Despite these issues, I remain optimistic. If November's election teaches us anything, it is that while this is a setback for the many who hoped to bring change, it is not the end of the American Dream. As a community, there are more reasons than ever to get out to the polls and work to elect those who reflect Latino values. Latinos need leaders who are advancing policies that make it easier to once again believe in hope and opportunity. The Latino Victory Project is focused on supporting and electing candidates from our community - such as Secretary of State-electeds Nellie Gorbea and Alex Padilla as well as Representative-elect Ruben Gallego and Representative Raul Ruiz. These are the leaders who are willing to listen and who are ready to fight for what is right. They are the next generation of Americans who stand proudly to usher in a changing America rather than attempting to push immigrants and the Latino community to the sidelines.